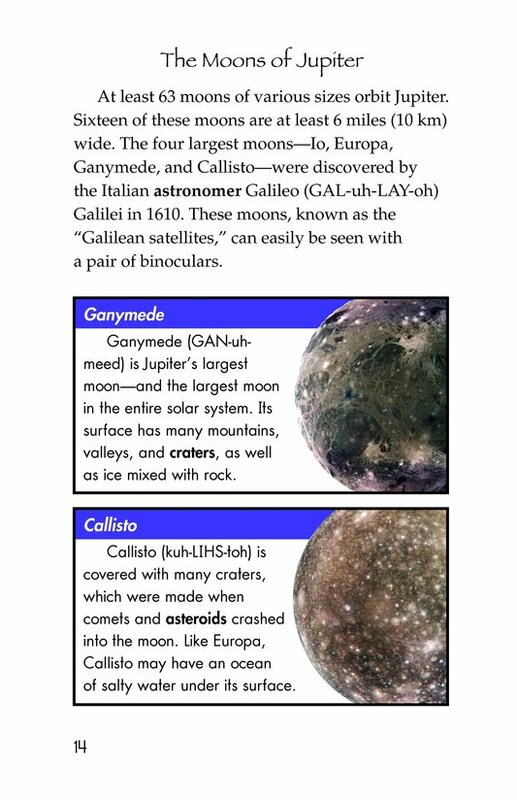 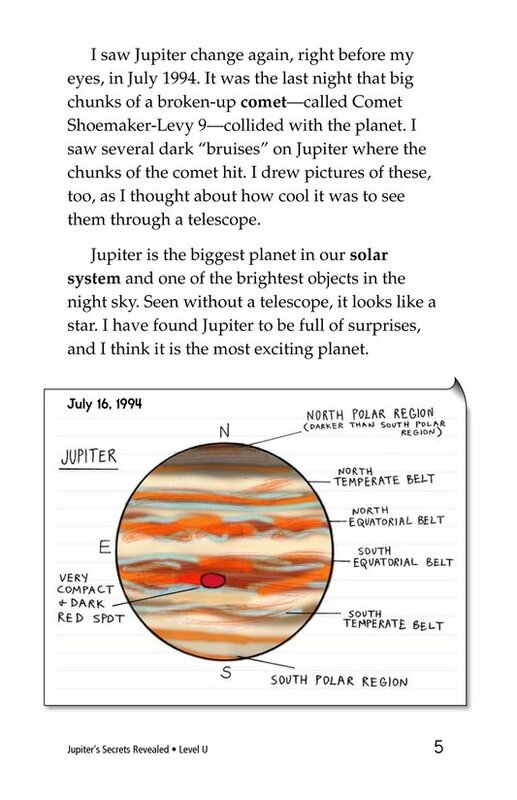 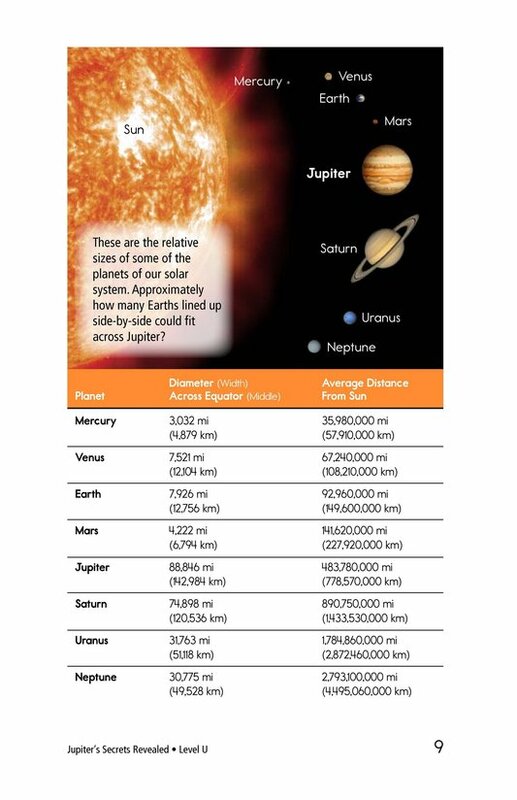 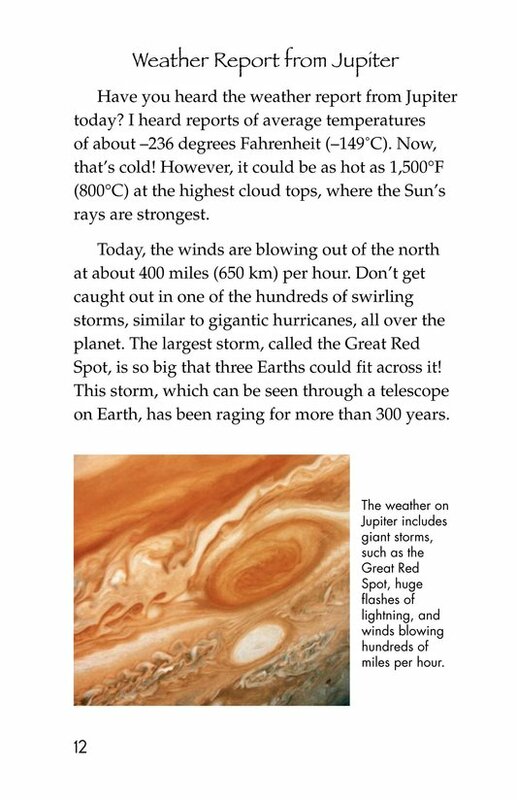 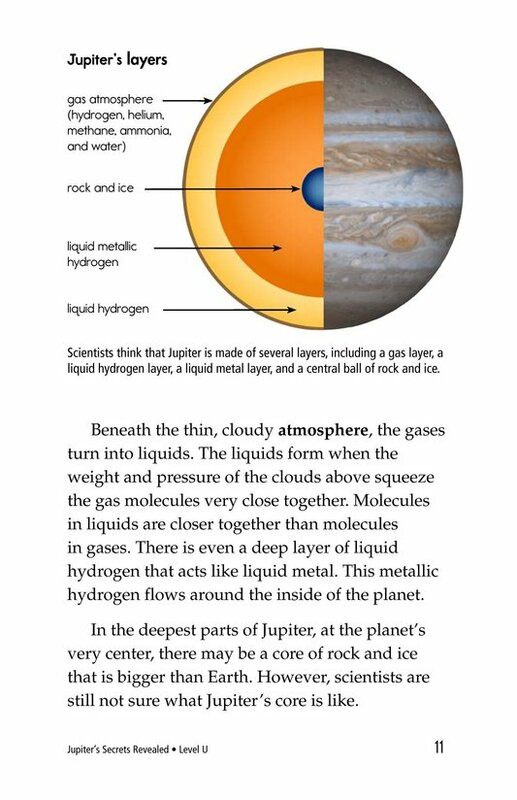 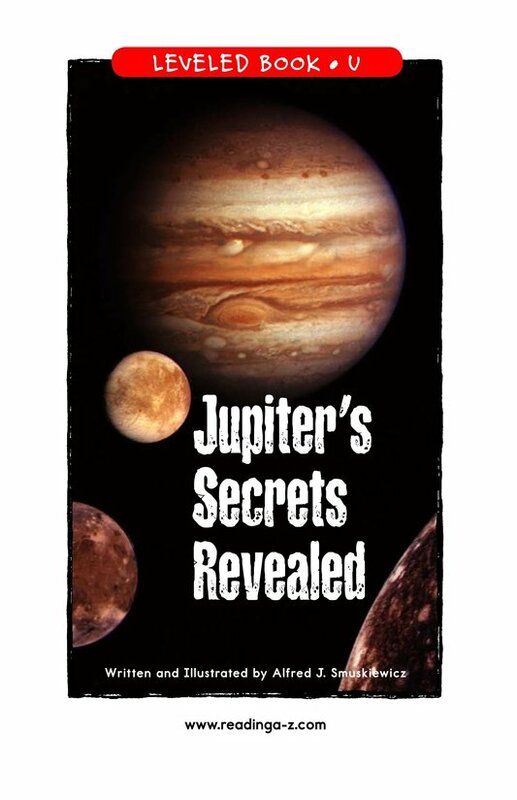 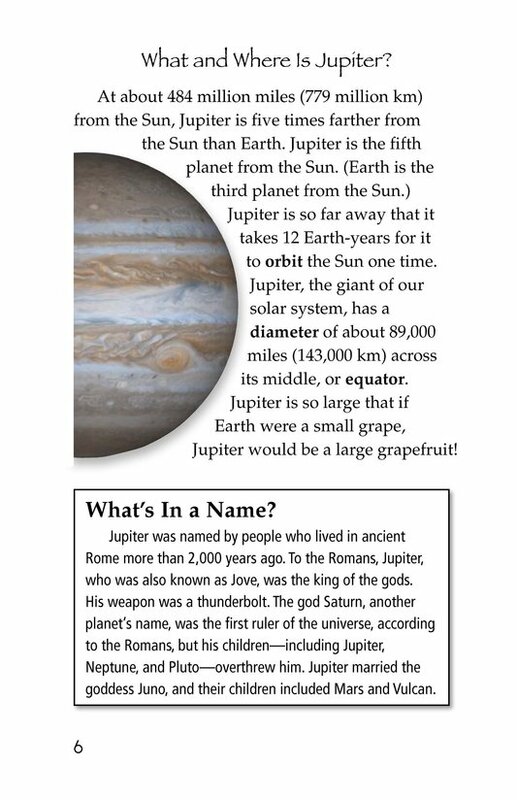 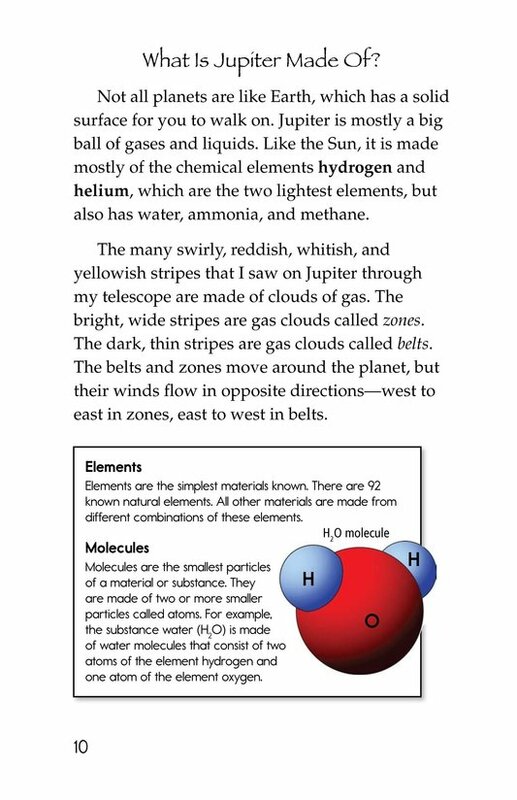 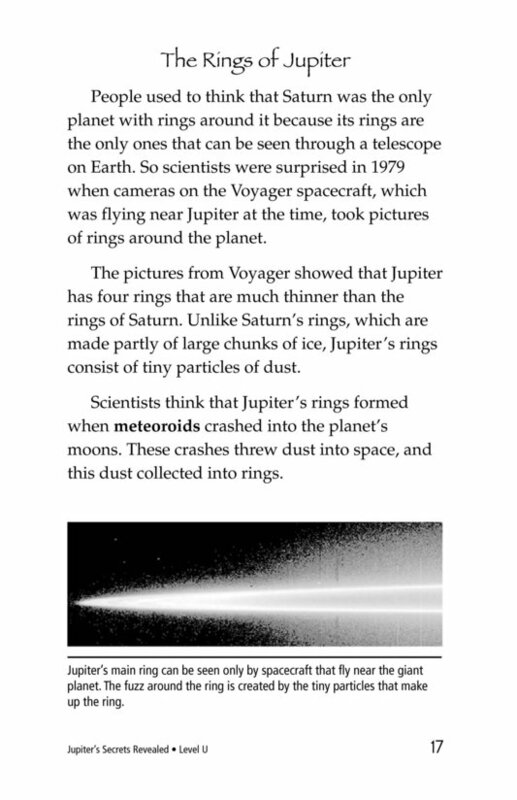 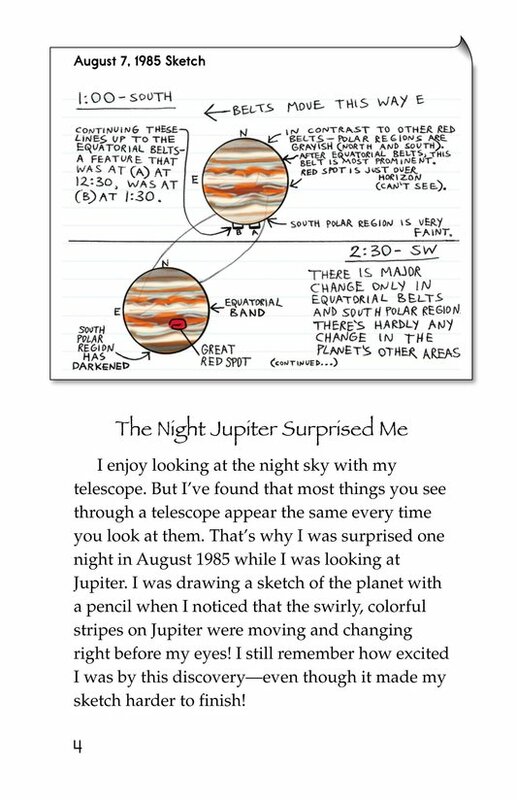 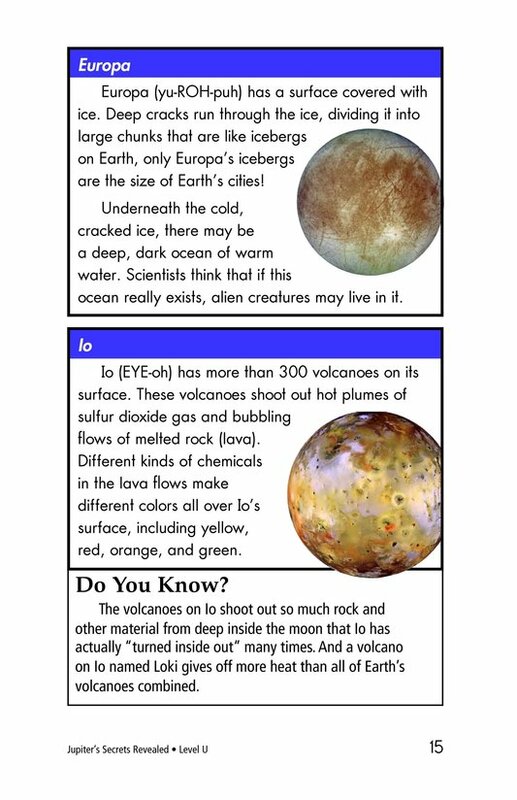 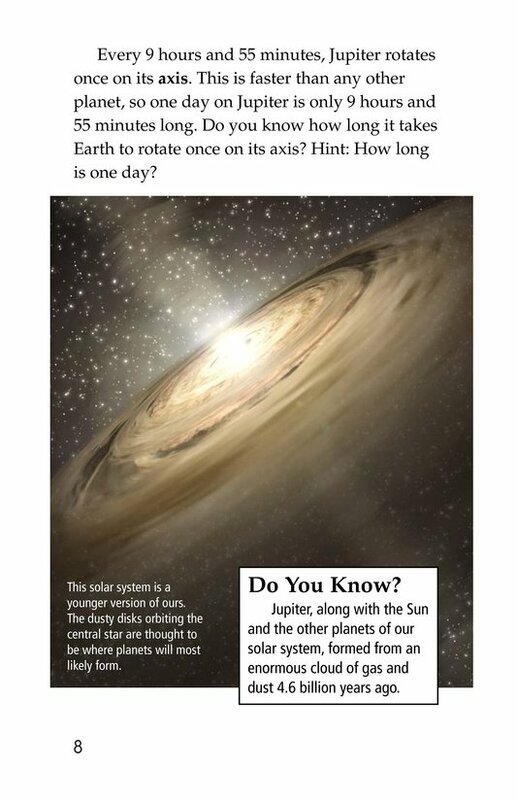 Jupiter's Secrets Revealed is an informative book about the largest planet in our solar system. 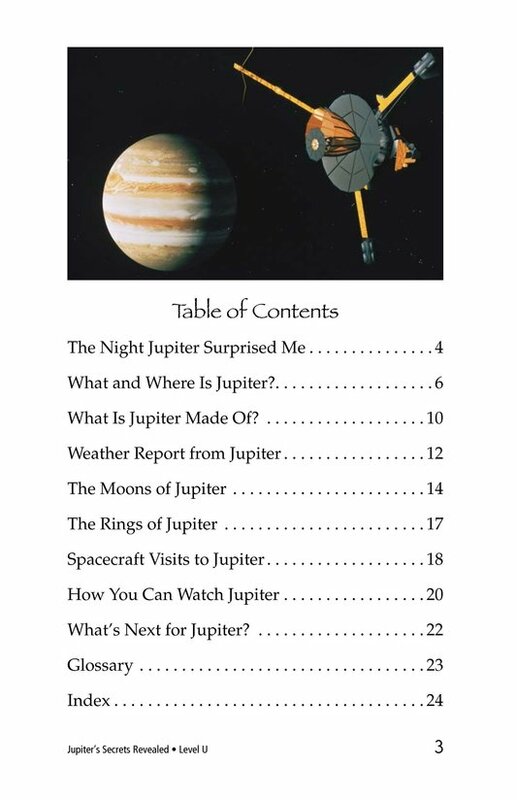 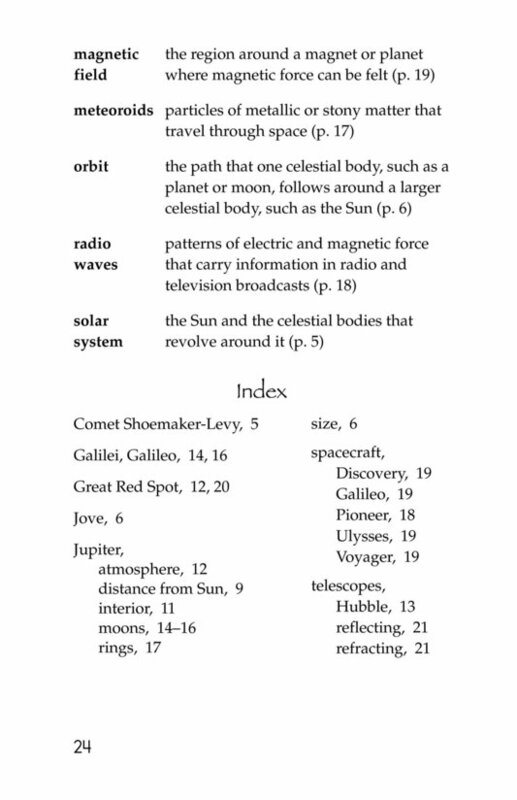 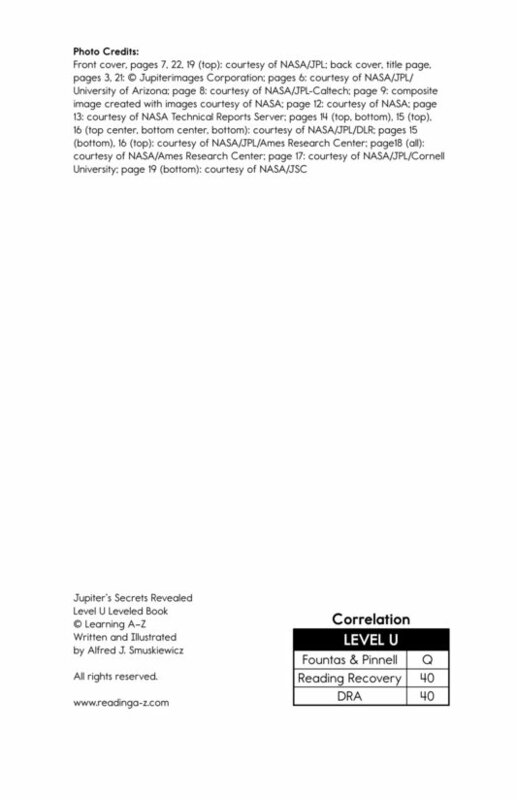 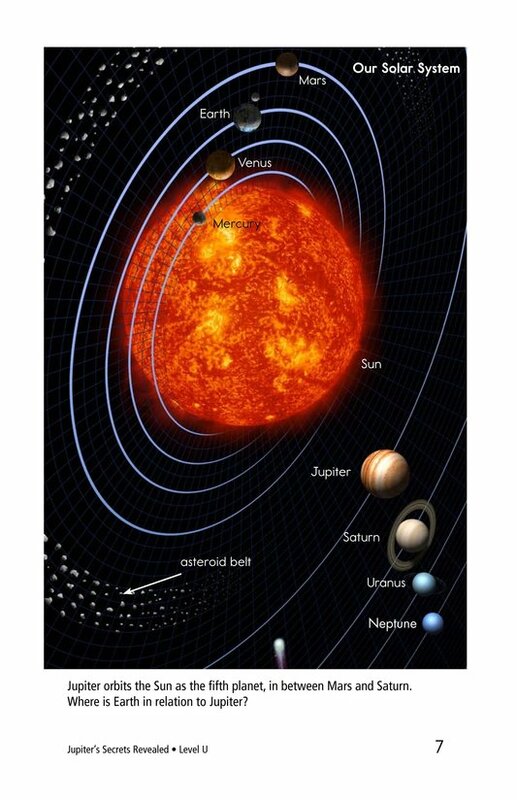 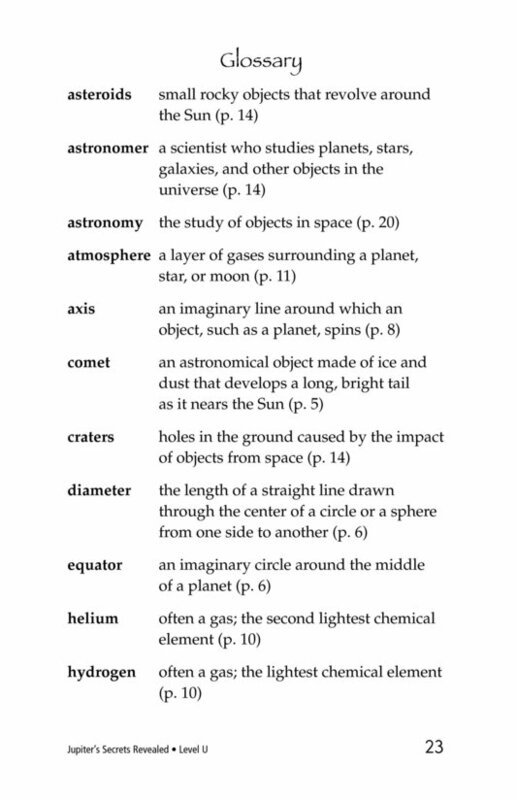 It tells readers about the planet's composition, weather, and orbit patterns, as well as its 63 moons. 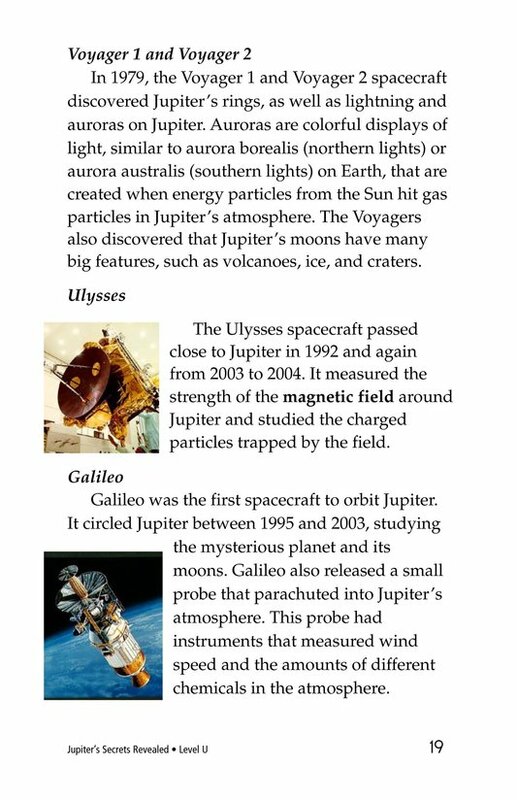 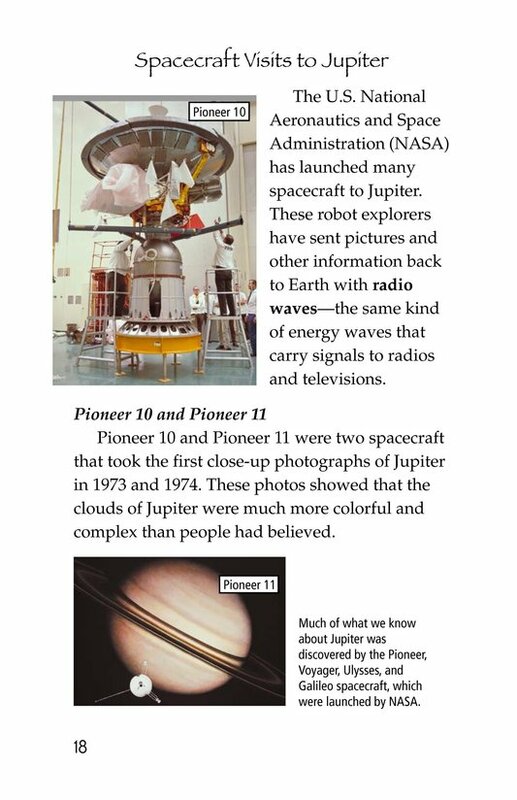 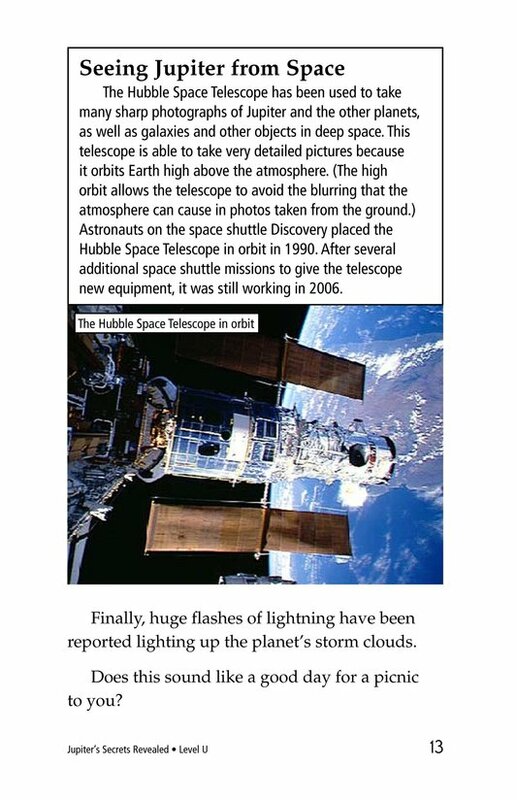 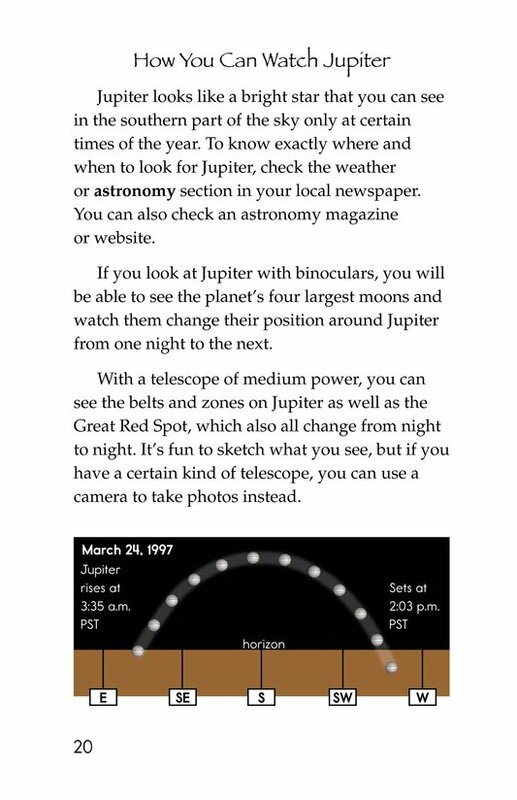 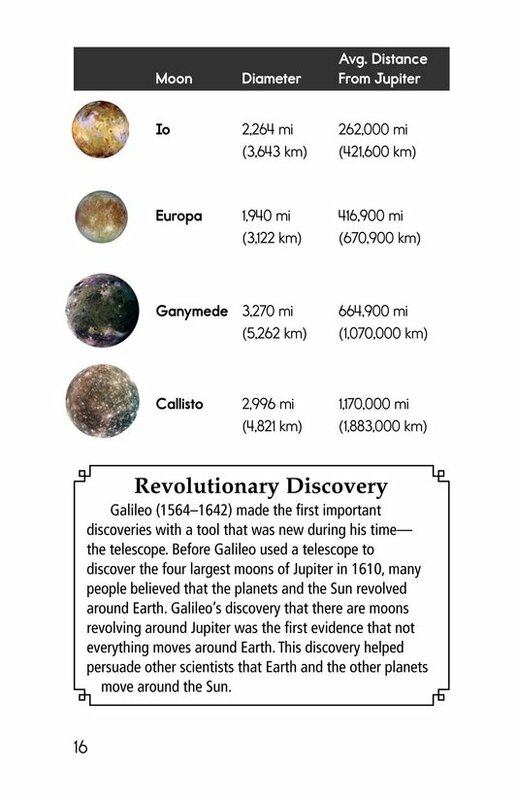 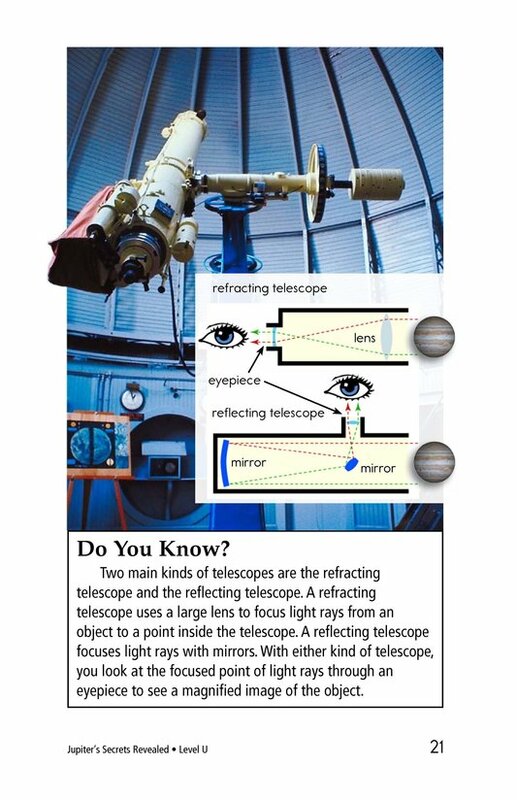 The book provides details about spacecraft visits and telescopic pictures of Jupiter that have been recorded by scientists. 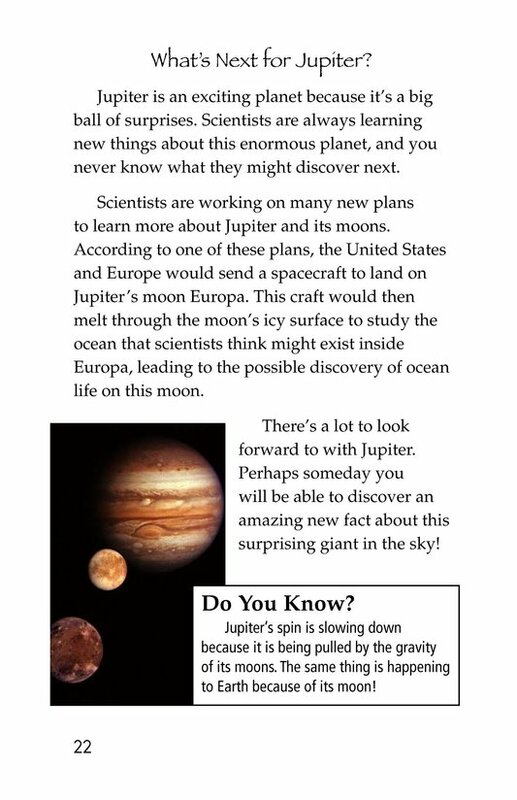 It also poses questions to readers about what may be next for the huge planet and its moons. 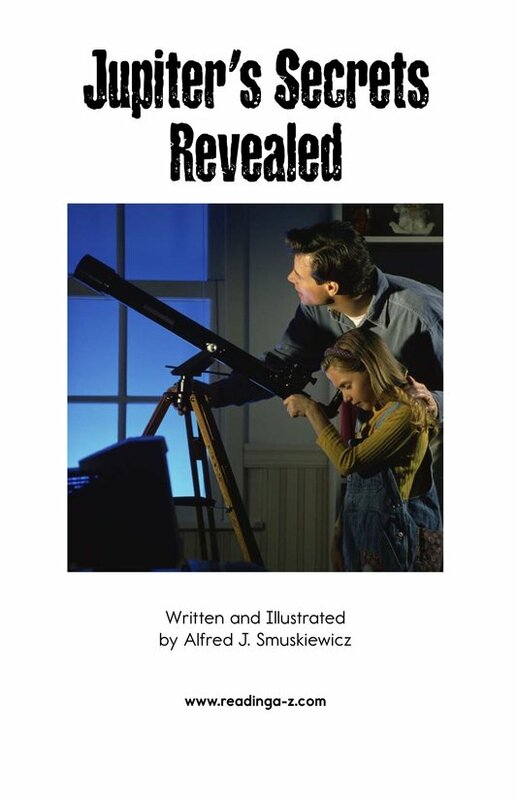 Photographs, illustrations, and diagrams support the text.